Codes and ciphers are about more than sending secret messages, though there is that. When the first public key cryptosystems were being publicized in the 1970s, authentication was a suggested application. How do you validate a digital signature? If you have the answer to the public key question, then you must hold the authenticating string. Although the first Diffie-Hellman knapsack system was later exposed for weaknesses, the problem itself and the algorithms for instantiating it remain as possible platforms. Others have been invented since. Whether or not you rely on cryptography, and independent of which (if any) system(s) you choose, codes and ciphers are in and of your daily world. They make credit card transactions and cellphone handshaking possible. They allow the efficient compression of messages. In fact, the common zip command on your computer is one way to encipher any message. It is easy to break, but the message is no longer in plaintext. Many other simple systems are available, no better or worse than the Yale or Schlage lock on your front door, they do stop all honest people and many who are not. This week, news about more of Edward Snowden’s leaks revealed that RSA (now an EMC label) took $10 million from the NSA and installed weaknesses to allow backdoors to its encryption. Of all the secret messages from World War II, many remain unbroken. The need is gone. A code or cipher only needs to be as good as it needs to be. Of all the “unbreakable” codes, the one-time pad and the dictionary code remain easy and effective. In the University of Texas library stacks, looking for the early history of word processors, I was in the Zs and discovered that my book on codes and ciphers was actually checked out. It took three editions to get it right. The first 3000 years were easy enough to understand. I wrote programs in Basic that transposed and substituted right up through the Playfair and Vigenere ciphers. RSA was a tough nut to crack; and I finally just cut-and-pasted one of their own graphics and quoted their own abstract. 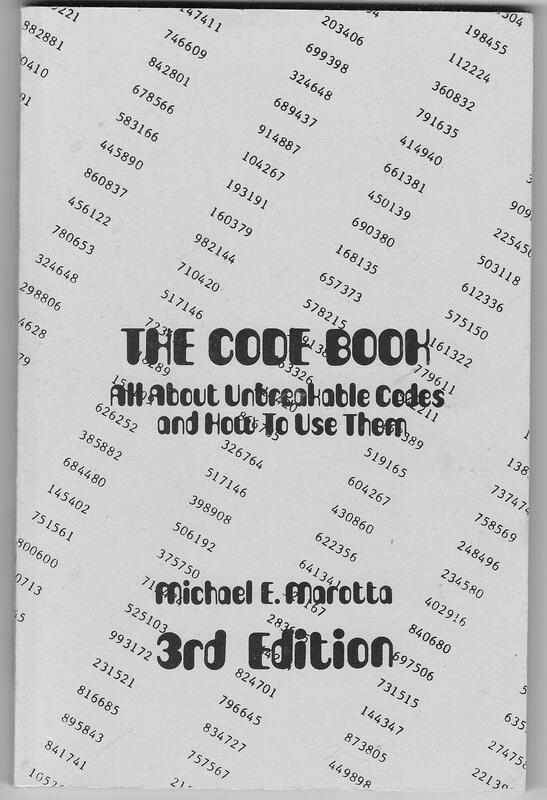 As the IBM-PC finally overtook the TRS-80, other amateur cryptographers published more complete books of programs for personal computers. By 1993 or so, with Phil Zimmermann’s PGP becoming common in sig lines and footers, applied personal cryptography sped light years past high school algebra in Basic. PGP is now part of the Symantec suite.